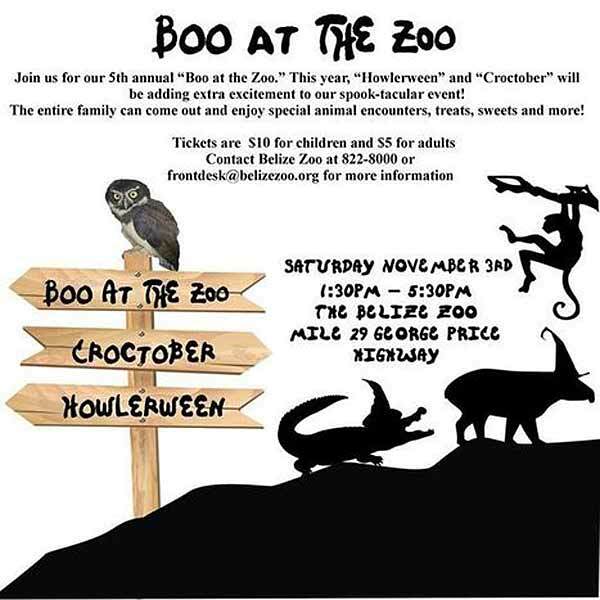 The 5th annual Boo at the Zoo will be on Saturday November 3rd, from 1:30pm to 5:30pm. Are you ready to celebrate 'Howlereen?' The Belize Zoo's Halloween celebration promises unique fun for all ages. "We have begun preparing for another spooky, special event at TBZ. Our 5th annual Boo at the Zoo will be held on Saturday November 3rd. Mark your calendars, and stay tuned for updates!"